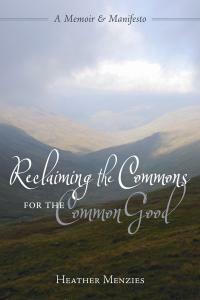 A memoir of personal and political discovery, Reclaiming the Commons for the Common Good combines reflections on our common heritage with a contemporary call to action, individually and collectively, locally & globally. Heather Menzies is an award-winning writer, scholar and author of nine books. In 2013, she was awarded the Order of Canada for her contribution to public discourse. This event is an opportunity to celebrate and connect with local initiatives working towards a common good. Come and be inspired by the author's vision of reviving the community spirit of empathy and mutual respect. A book made for today. Menzies marks the trail for deep participation in the healing soul, community and creation, drawing from ancient wisdom, fine scholarship and contemporary practices of hope. …an admirable, even noble, vision…expresses very eloquently what will have to be done if humanity is to escape the current race towards disaster.